Rated 5 out of 5 by JDB1945 from One of the Best out on the market The pressure is awesome, the tips give you a wide range of uses and the unit details what each tips should or should not be used for. The unit is easy to put together and works wonderful. Rated 4 out of 5 by Mike from Poor packaging The unit was delivered on time. The box was destroyed and when I went to move it the bottom fell out. Otherwise the unit was easy to set up and work fine on its trial run. Rated 3 out of 5 by Gbeat from Increasingly not happy! This is my third unit from Generac. The first one was used for 4 years and had 5000 hours on it. The second one was defective right out of the box and cost me 3 weeks of down time for my business. Now it has gas in the oil and needs to be repaired. I ordered a third one and just received it. It is missing a vented cap on the water pump. I can only get the part from a Generac Dealer who will order it from Generac and cost me more lost time while I wait for it, because Generac won't supply it to me. Rated 5 out of 5 by chugggga from Love this power washer, great product We have used this product for everything around the house and on the job!!!! Rated 1 out of 5 by Ken from Pump went out with less then 3 hours of use I purchased this product for home use. The pump went out with less then 3 hours of use. 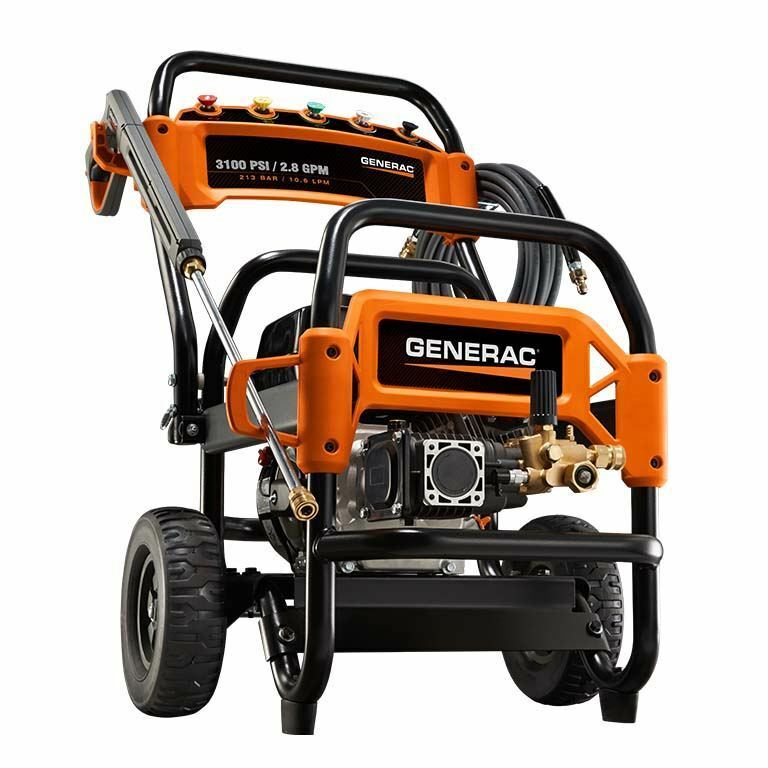 I took the pressure washer to the authorized service center and was told Generac only warrantied their pumps for one year and my receipt was from 1 year 2 days. Rated 4 out of 5 by MPS from Just got this I don't have much experience with this, but I am very satisfied with the ease of setup and the instructions for operations. Rated 1 out of 5 by Bobloblaw1 from Has never worked properly Won’t idle properly, continues to stall. Couldn’t get support from Generac and retailer won’t return it. Not a happy with the product or the level of customer service. 3100PSI Commercial 6590 is rated 4.5 out of 5 by 29.